The needs of our community is always changing. So we are trying to change with it! 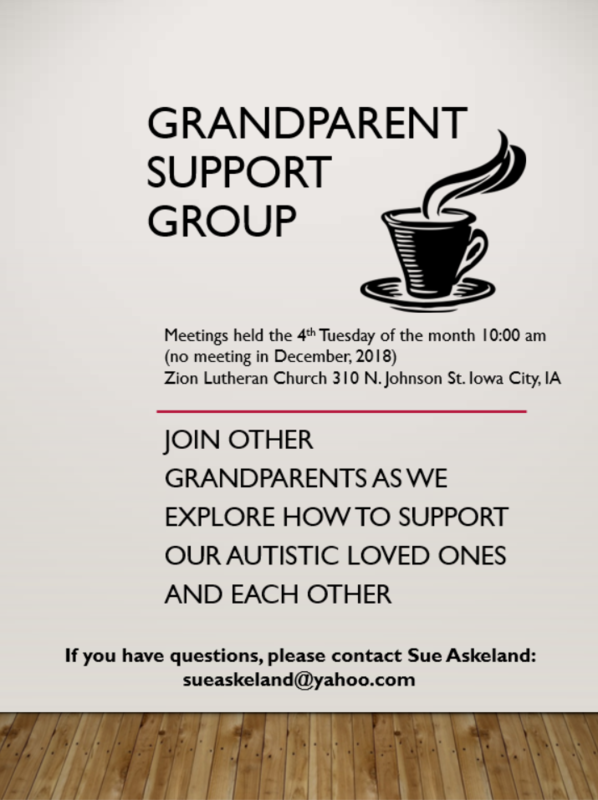 The Iowa City Autism Community will now be hosting monthly evening meetings starting in January of 2019. Our current Caregiver meetings at Zion Lutheran Church currently are no longer taking place. These new evening meetings (dates and locations to be determined) will be open to everyone – caregivers and adults on the autism spectrum – and will consist of casual conversation, updates and activity planning, and idea sharing. More details to come!